The mission of the Lakes Region Medical Reserve Corps (LR-MRC) is to improve the health and safety of the Lakes Region by organizing and utilizing public health and medical volunteers to prepare for and respond to emergencies. 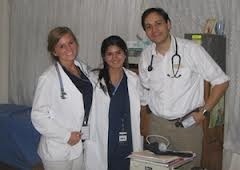 A national program that focuses on organizing and utilizing medical and public health volunteers. MRC units work to strengthen local public health systems and provide help in emergencies. The overarching goal is to improve health literacy, and in support of this, teams work towards increasing disease prevention, eliminating health disparities, and improving public health preparedness. Watch this great promotional VIDEO! Why was the MRC founded? On September 11, 2001, thousands of spontaneous volunteers could not be used due to liability, training and management issues. To ensure that volunteers would be trained and ready to help respond to emergencies, the MRC was launched in 2002. 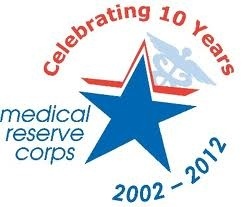 Today, well over 980 local MRC units exist across the nation with more than 208,000 volunteers. MRC volunteers can choose to support communities in need nationwide. What is a MRC Unit? How can LR-MRC volunteers help in local emergencies? Supporting local emergency response partners. What trainings are available to MRC volunteers? 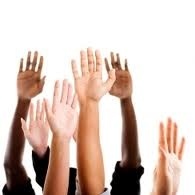 Who can be a MRC Volunteer? LR-MRC is affiliated with the statewide pre-credentialing system for health care providers interested in volunteering. Visit NHResponds.org for more information. The time for volunteers to become involved in emergency response is now - before an incident occurs.